Workshop I: Ecology and Behaviour of African Animals. Workshop II: Ecology and Behaviour of African Animals with a Focus on “Expert Animal Photography”. 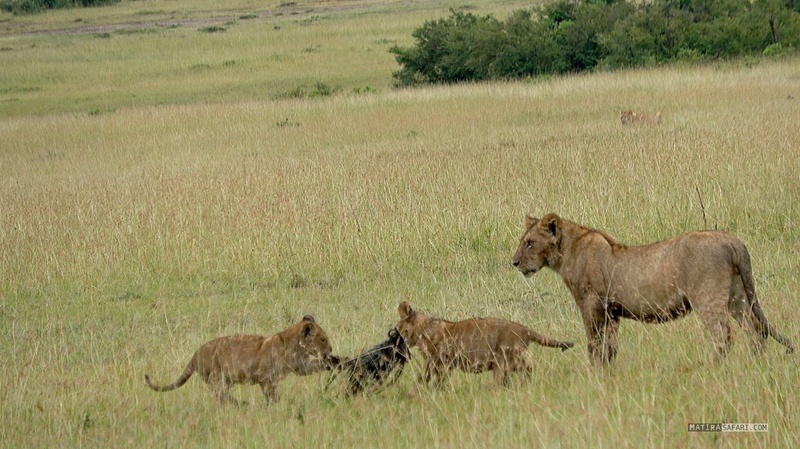 Kenya’s Maasai Mara makes up the northern section of the Serengeti ecosystem. For thousands of years, Africa’s most fascinating nature reserve has formed the backdrop for the spectacular wildebeest migration, the largest gathering of hoofed animals on Earth. When the southern Serengeti dries up each year, hundreds of thousands of white-bearded wildebeest and zebras migrate north to the Maasai Mara, where they can still find good grazing conditions on the banks of the Mara River. As well as the breathtaking spectacle of the great migration, the Maasai Mara is home to an enormous variety of species that can be admired all year round. Impressive large animals such as elephants, giraffes and buffaloes share this thriving ecosystem with countless antelopes and gazelles. Significant numbers of lions, cheetahs and leopards that are becoming increasingly rare in other regions have managed to survive here. Some 500 bird species and various reptiles and amphibians serve as further examples of Africa’s magnificent animal kingdom. The Maasai Mara offers nature-lovers a unique stage for fascinating wildlife observations and presents photographers and film-makers with a kaleidoscope of possibilities. 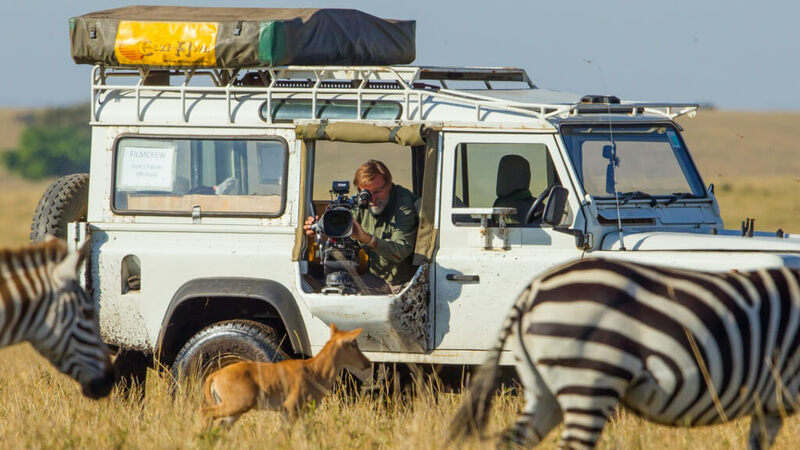 Reinhard began his scientific career more than 30 years ago as a wildlife biologist and has returned here regularly ever since to work on various film projects (including the documentary “SERENGETI”). Alongside many award-winning international films, he has written several books and numerous articles on Africa’s animal kingdom (www.reinhardradke.com). Reinhard has used the MATIRA CAMP as a base for some of his projects in the past, resulting in a close partnership that now gives our guests the chance to experience Africa from a new and richer angle. With his enthusiasm and expertise, Reinhard coordinates the evening workshops (ecology and behaviour, animal photography) and provides professional support and guidance throughout the tour. Your safari starts in Nairobi early morning at your hotel from where we will pick you by our Matira driver. We are driving along the Great Rift Valley Escarpment to Maasai Mara. Arrival late afternoon. After lunch we will talk with Reinhard Radke about the program for the next days before you start for your first afternoon gamedrive. Dinner and first night at Matira Bushcamp. 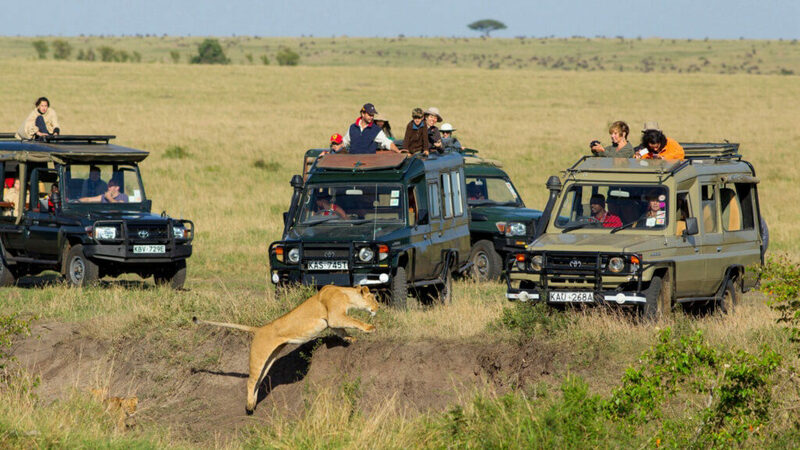 (optional flight to Maasai Mara). The next few days are dedicated purely to nature and the animals. We will set off on a game drive early in the morning with Reinhard accompanying you in our Landcruiser. During a bushbreakfast in the open savannah, you will have the chance to share your experiences and enjoy the beautiful landscape. Depending on the animal activities that day. We will have lunch in the camp or in the African bush. After an exciting day full of amazing impressions and experiences, you can build upon your acquired knowledge with and informative presentation by Reinhard on a special subject relating to animal behaviour, ecology or the history of the Maasai Mara, among others. In the photography workshops, Reinhard will discuss photographic aspects of landscape and atmospheric pictures depicting behaviour and action shots, as well as issues relating to picture editing. Return to Nairobi: Today we leave the wilderness and take the plane in the morning back to Nairobi. Upon arrival at Wilson Airport, you will be picked up and taken to the JKIA International Airport from where you will travel to your next destination or home. We wish you a safe journey back home. We would also be glad to make arrangements for an extended stay or onward to your next destination.